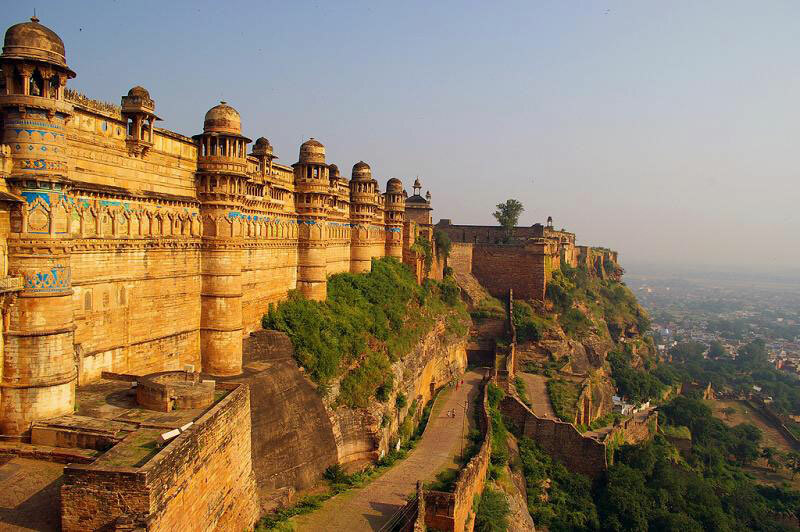 Exotic Places: Historic forts to come alive again in India. They have withstood the onslaught of marching armies, they have been like trophies for rulers, and several well-known forts in India are now reliving their glorious past through a 26-episode documentary series "Bharat ke Burj". Golconda Fort in Andhra Pradesh. Produced and directed by leading Chandigarh-based theatre personality Gurcharan Singh Chani and his son Gyandev Singh, the series aims to tell the story of 26 forts that have been part of India's rich history and their rulers. "The series has been such a great learning experience for us while making it. Many myths about the forts, which are centuries old, have been broken," Chani, who spent nearly three-and-a-half years in research and shooting with his son, told IANS here. "Forts like Kalinjar (Uttar Pradesh), Chittor (Rajasthan), Gingee (Tamil Nadu) and Golconda (Andhra Pradesh) have been like trophies which various rulers always wanted to conquer. Some of the most famous battles and lives of dynasties and rulers have revolved around these forts," Chani said. The documentary series, being telecast on national broadcaster Doordarshan since last month, features forts ranging from Qila Mubarak in Punjab's Patiala to those down south in Andhra Pradesh and Tamil Nadu.